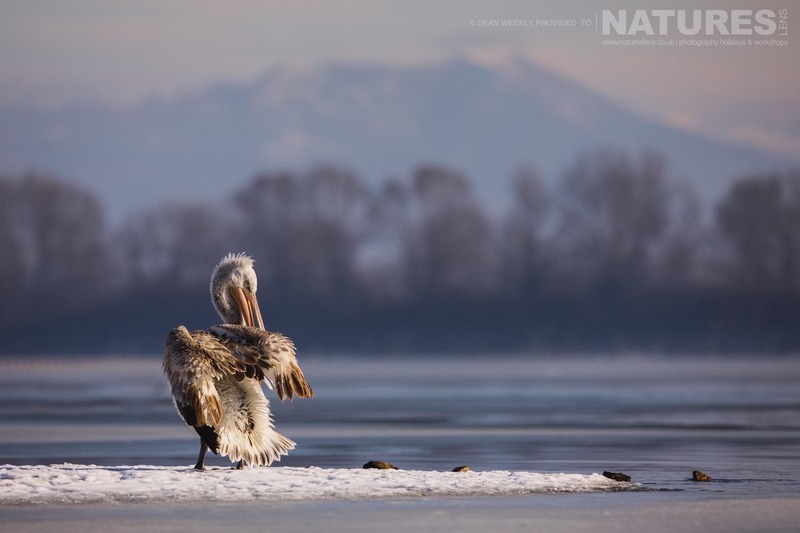 In January I had the pleasure of co-guiding one of the NaturesLens Dalmatian Pelicans of Greece Photography Holidays, along with Pui Hang. 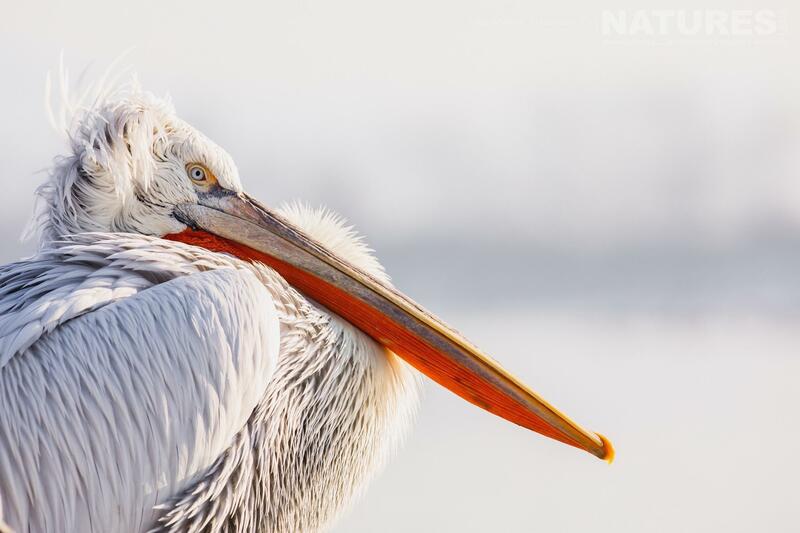 We took a group out to Greece to capture images of an oft-overlooked bird, the Dalmatian Pelican. This is the third and final part of a series of three blog posts covering the trip. 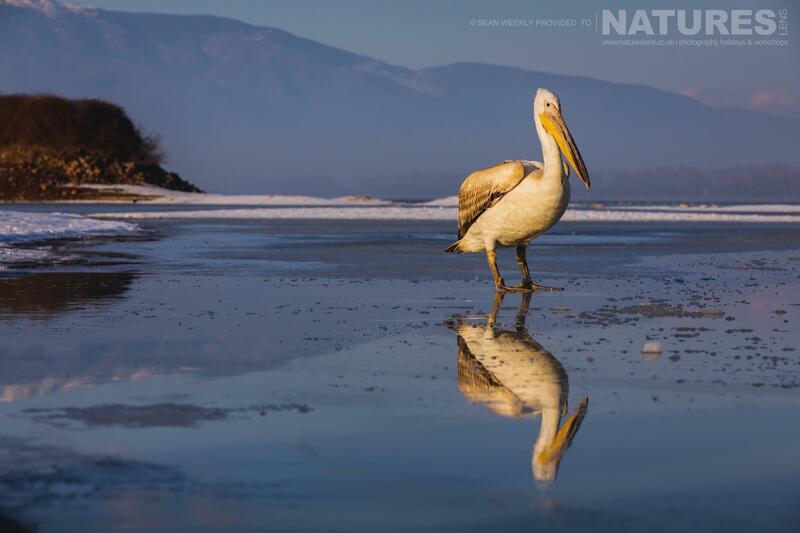 All the Dalmatian Pelican images shown here were taken on this spectacular trip. 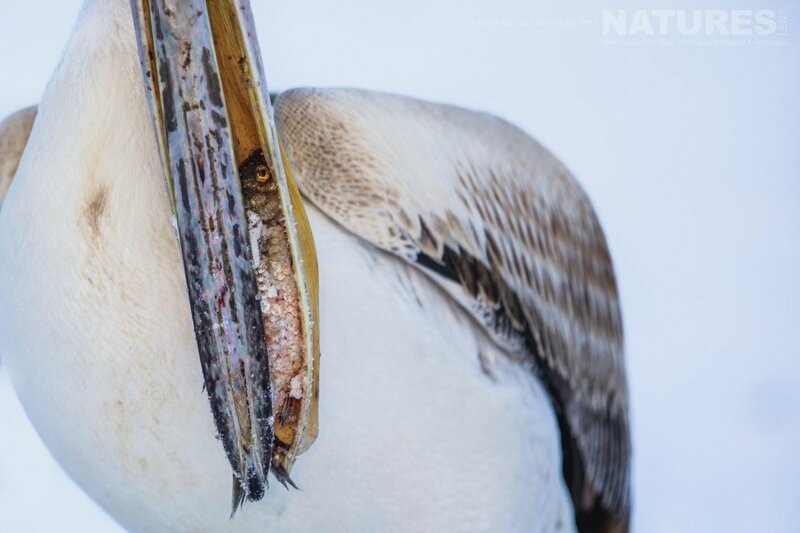 If you missed the first part, then you can read it here or the second part here. We had hoped that the lake would thaw sufficiently for a boat trip on our last day. 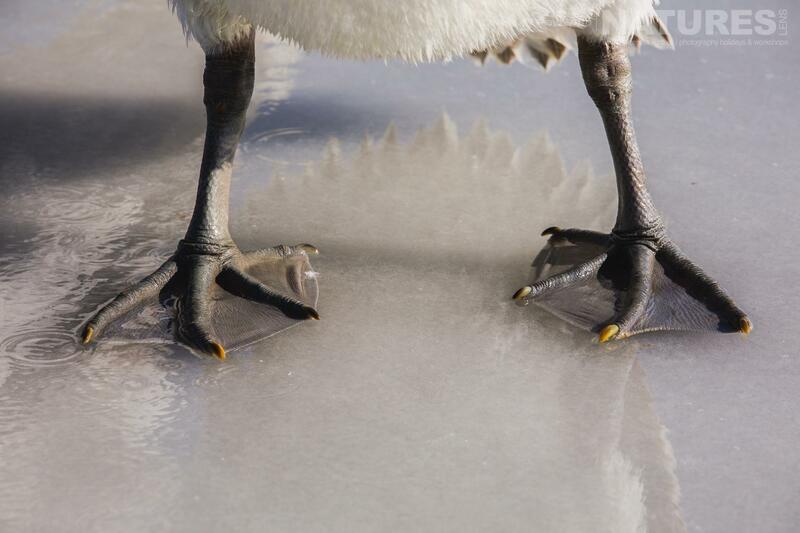 The sun was melting the ice and snow by day but by night the temperatures dropped, freezing the lake again. Ironically, the second group led by Dan were hoping that the lake remained frozen so that they could also have a chance at getting some unique shots too. 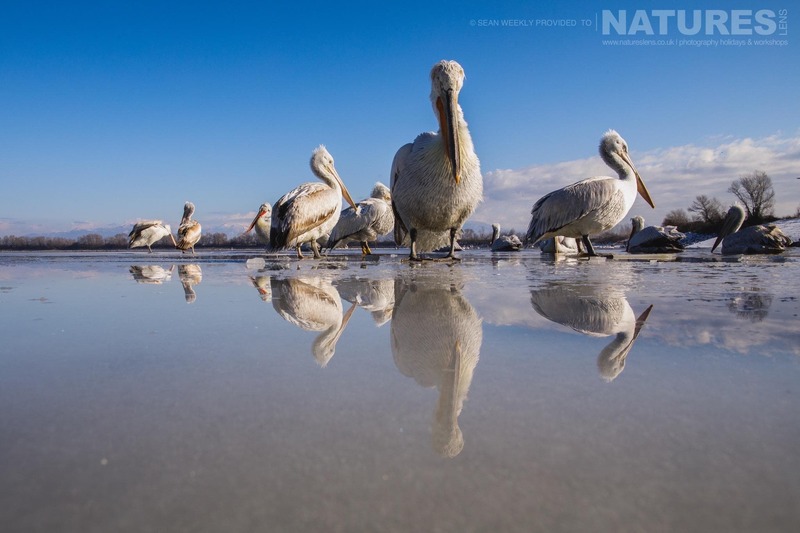 Our final full day saw us returning to the second location for more shoreline photography. This area of the lake wasn’t frozen due to its proximity to the dam. 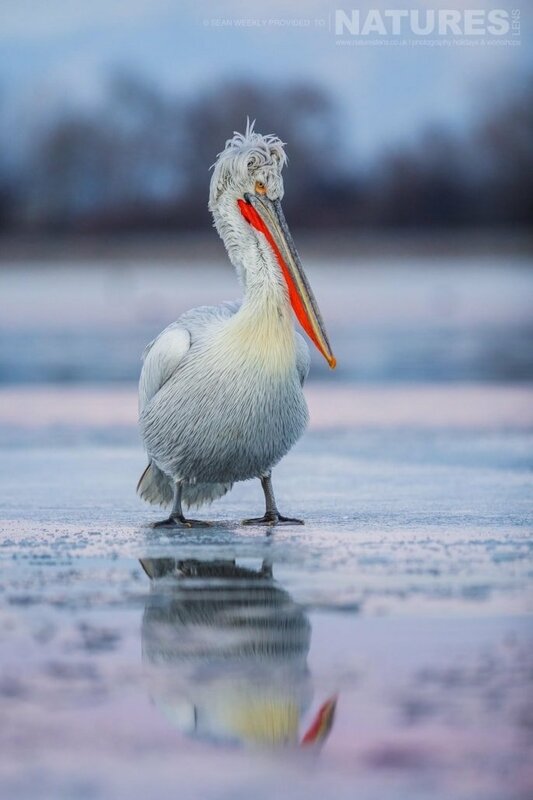 It was also a great spot to get eye level with the birds which gave us some amazing images of the pelicans swimming & standing around on ice floats. As the sunset hit the lake, the light at this specific spot was stunning and allowed for some very interesting portraits. The colours reflecting off the ice/snow gave the scene some lovely pink and blue hues. 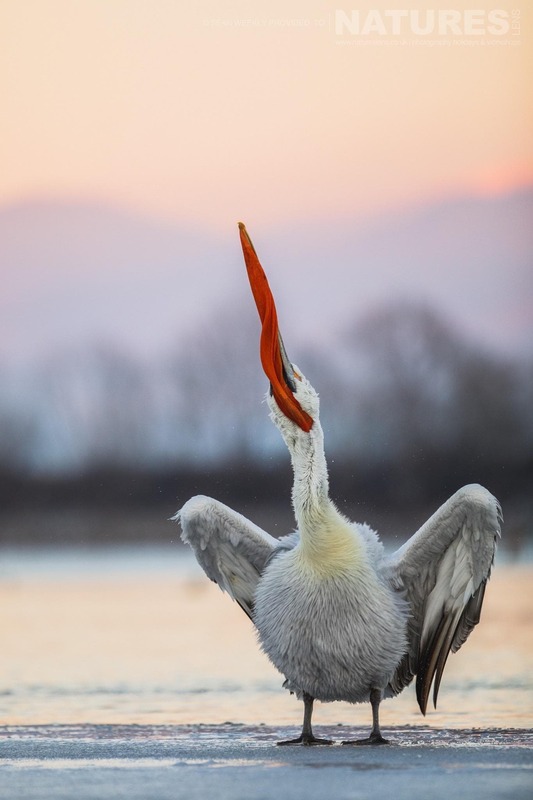 I really had the most incredible time on this trip not only for the endless amounts of Greek food, but the company of some fantastic people & more importantly the Dalmatian Pelicans! 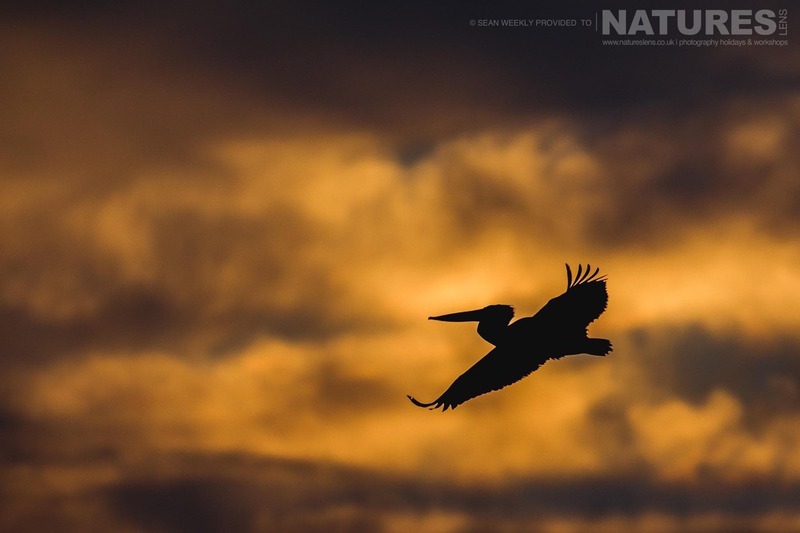 DO YOU WANT TO CAPTURE SOME DALMATIAN PELICAN IMAGES FOR YOURSELF? 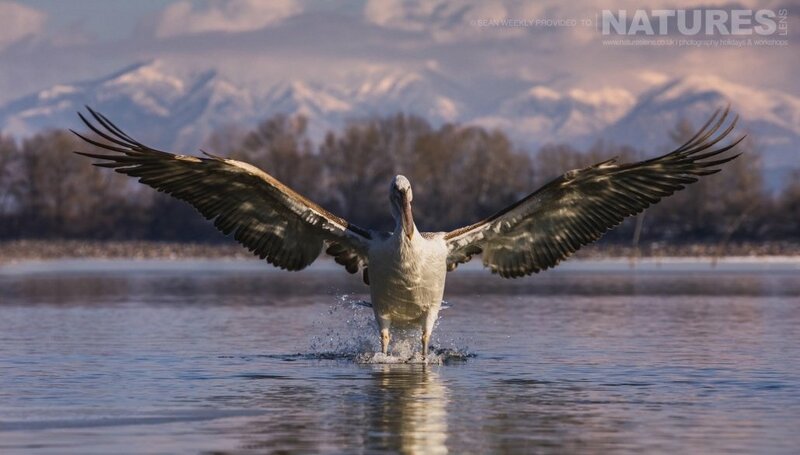 We have a third trip that is to be run during January of 2018, this is an opportunity for you to undertake photography of the Dalmatian Pelicans on Lake Kerkini for yourself; the photography holiday costs £1049 each participant, this price excludes air travel to Thessaloniki itself – all ground transportation from Thessaloniki & back, & to & from shoot locations, accommodation & guidance/tuition is included, the dates for the Dalmatian Pelicans of Greece Photography Holiday are January 6 – 11, 2018. 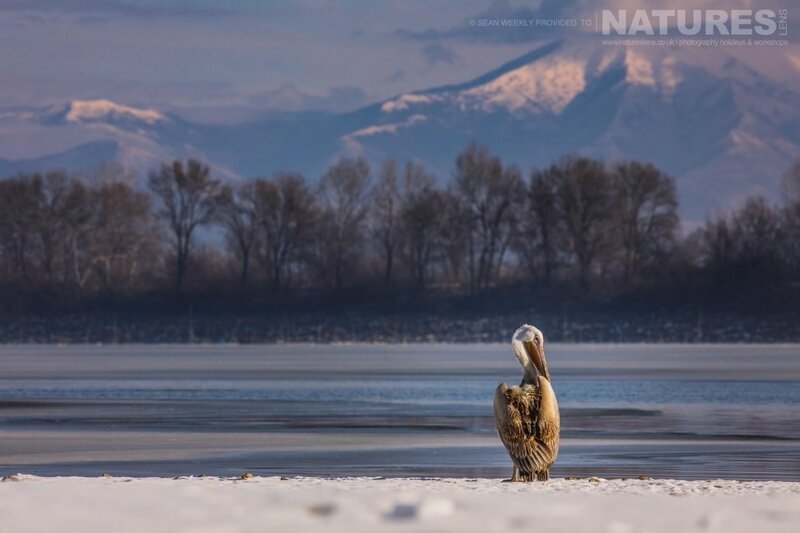 This entry was posted in announcements, client images, worldwide tours and tagged dalmatian pelican, dalmatian pelicans, frozen, greece, ice, lake, lake kerkini, snow, winter. 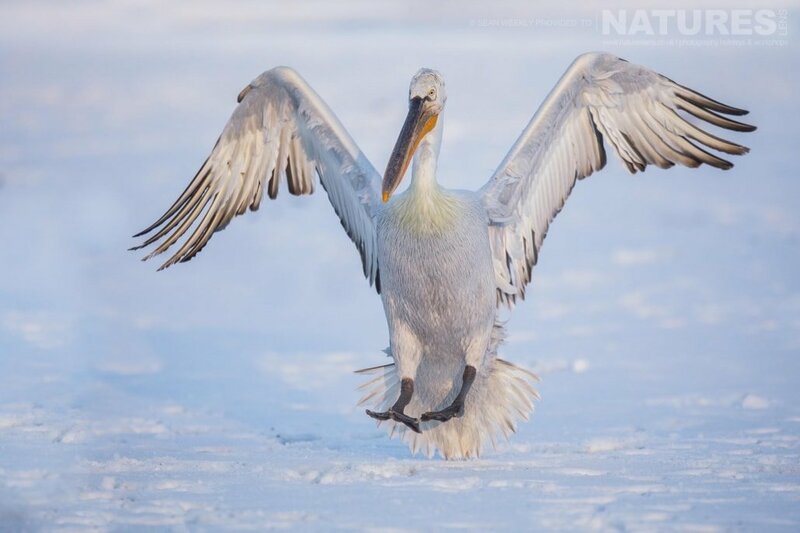 Whatever your query regarding our photography holiday, The last of the Dalmatian Pelican images from Sean, please fill out your details below & we will get back to you.